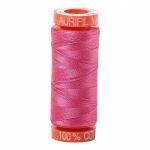 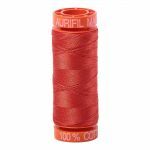 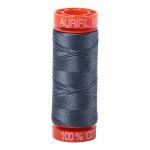 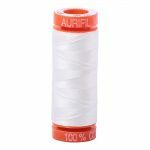 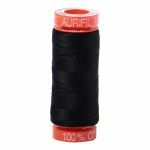 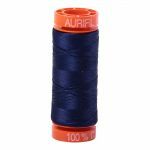 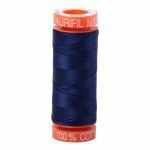 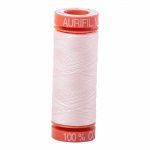 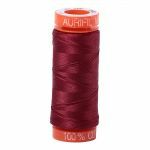 Aurifil is 100% Egyptian Cotton, grown in the MAKO region of Egypt on the river Nile. The Aurifil production process is based in Milan, Italy. It’s here where the thread undergoes 15 steps before it becomes a spool ready for use. 12wt is our go-to for big stitch hand quilting. Because our 80wt cotton is such a delicate, thin thread, we recommend using a very thin, very sharp needle when machine sewing. 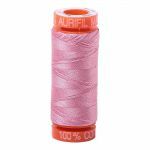 It also helps to take your time and sew slowly. For hand sewing, some users like to use a thread conditioner, though we find that it’s not necessary. We suggest using lengths no longer than 14”-16″ for best results and minimal breakage. Don’t pull too hard, but don’t be afraid to be firm with your stitches. 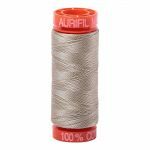 Our favourite hand sewing needle for this weight is the Tulip Hiroshima needle #10.